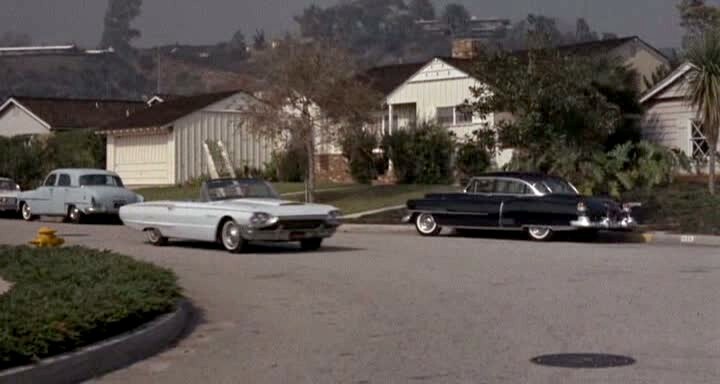 IMCDb.org: 1952 Cadillac Fleetwood 60 Special  in "Good Neighbor Sam, 1964"
54? Same trim for 50 to 54 but 54 got different rear bumper and also it did not get the two tops on it as 50-53. The exhaust pipes through rear bumper was also different from 52-53. I think this get exhaust pipes through the bumper, so I only think in 52 or 53. ^Right you are, I don't know what I was thinking I saw it as a 54-56 body not a 50-53. Anyway if the exhaust exits through the bumper then it's a 52 as the 53 has much thicker lower molding.